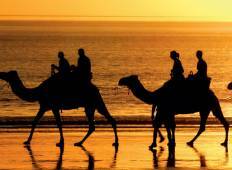 "I travelled Perth to Broome amazing experience with Anna as our tour guide. She had..."
"Anna is an energetic, cheerful tour guide who's very much enthusiastic about her..."
"Reaĺly good Tour. Nice places, nice people."